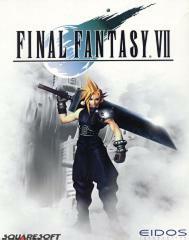 Final Fantasy 7 is simply vast. The game takes place in a huge gameworld, and the addition of some spectacular 2D graphics and 3D cut scenes makes this game sprawl out over three CDs. But it never gets dull. Not for a single second (OK, well maybe a bit at the beginning, and the narrative sequences explain some of the vast amounts of information you'll need to grasp this massively playable adventure). Final Fantasy is a sword and sorcery adventure like the old Dungeons and Dragons fantasy role playing games. It just has a hugely involving narrative over the top, some of the most gorgeous graphics of any game ever, and some fighting, snowboarding and racing sub-games thrown in for good measure. You might not like this game, but we guess you will.